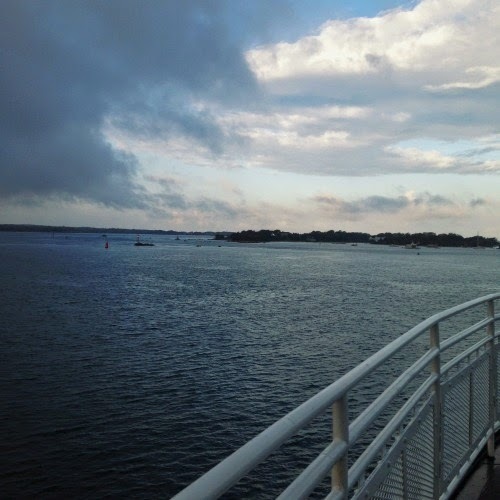 It was an early morning departure from the Steamship Authority ferry in Woods Hole (Cape Cod). My home for the 2 days was The Lightkeepers Inn which was in a great location in Edgartown! 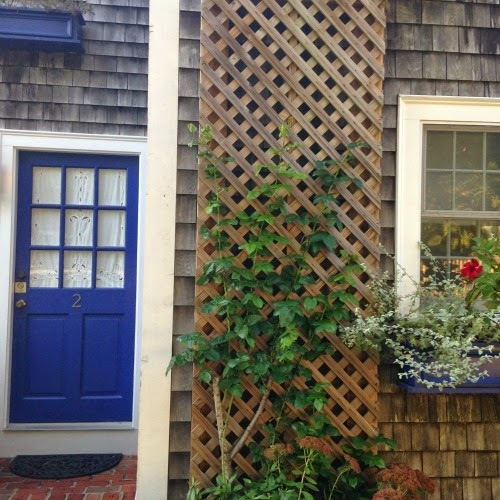 I loved the blue doors/window boxes and florals. 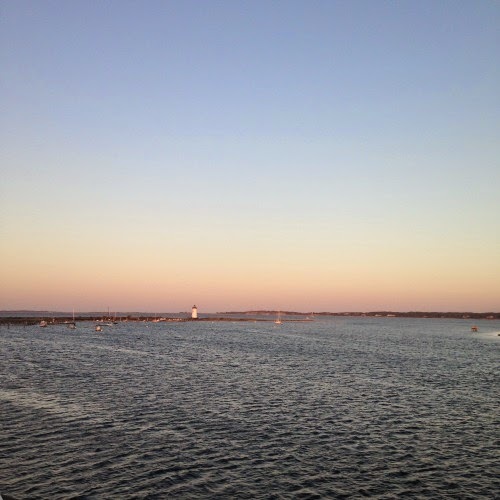 This view of Edgartown Harbor needs no filter. 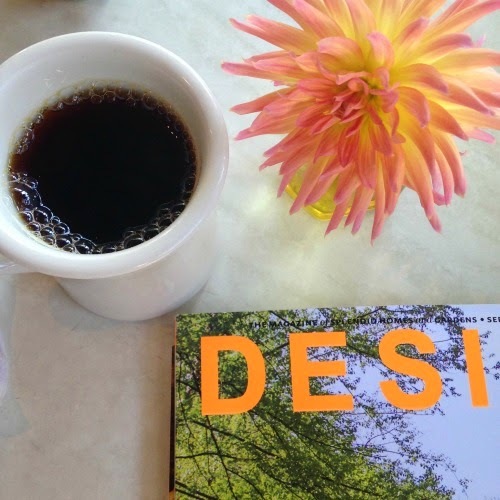 Saturday kicked of with breakfast "among the flowers". 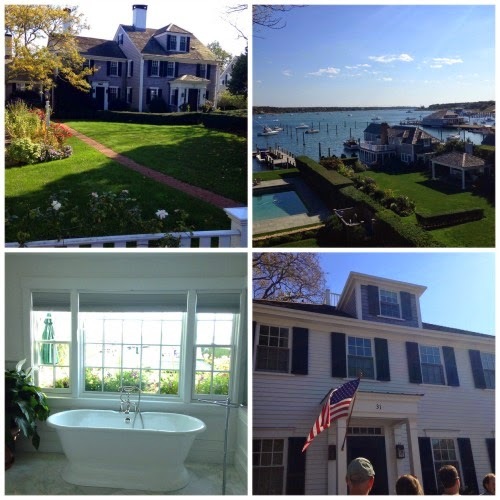 An architect client of mine gave an architecture walking tour of historic Edgartown. Going inside this million door home was amazing! 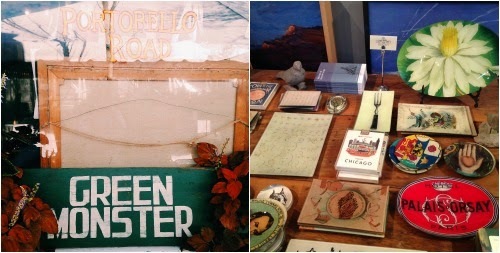 Be sure to visit Portobello Road if you are in Edgartown. So much John Derian goodness- among other things! 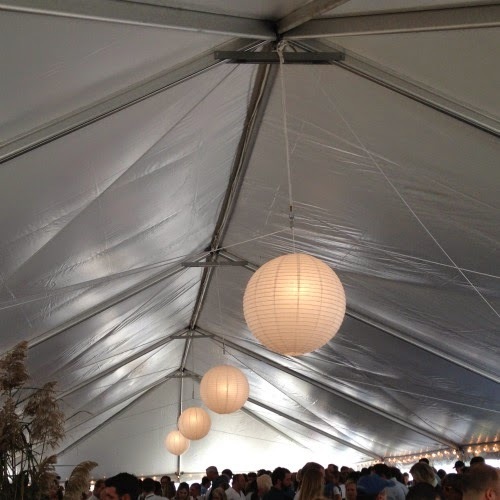 Inside the Grand Tasting tent- wine and food there was! 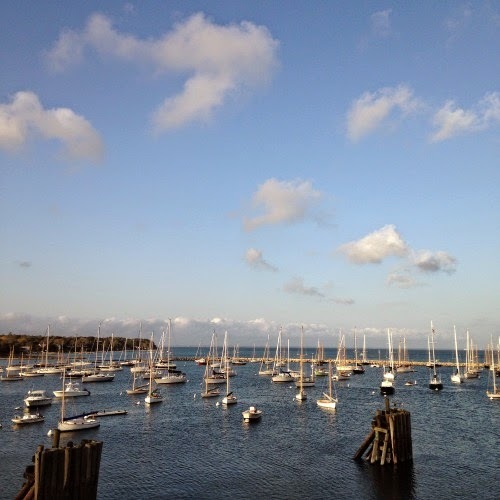 A harbor full of sailboats in Vineyard Haven was a lovely goodbye to the island. 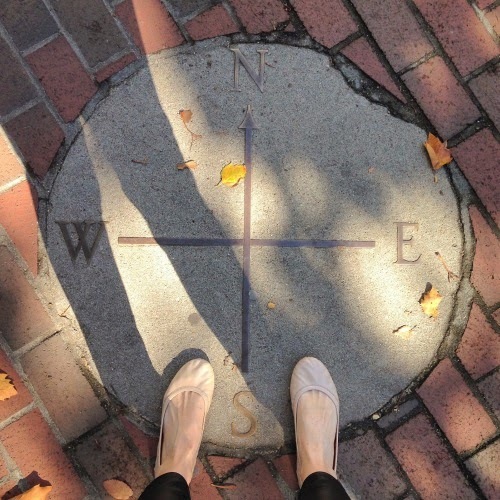 PS: My trip this summer to Nantucket. Portobello Road is such a cool spot. you really captured the beauty of MV. Edgartown is my favorite! I am a puddle of jealousy... my favorite place in the world. Gorgeous shots and sounds like such a blast! Beautiful! Jealous you got to go one more time before winter!